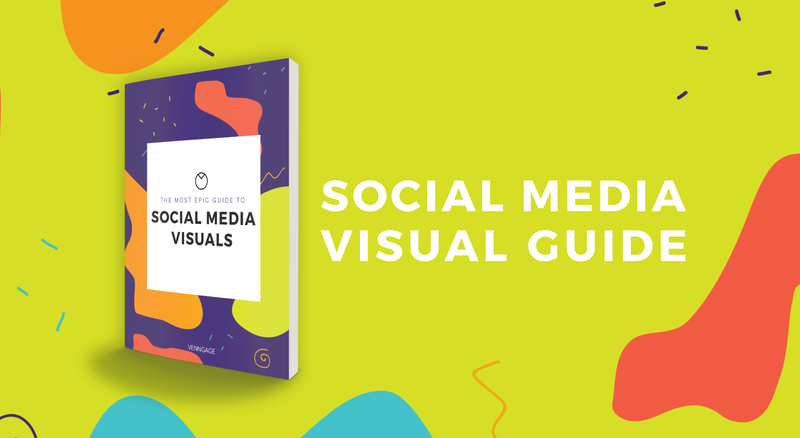 Raise your hand if you’ve ever created an infographic, mailed it out to hundreds of bloggers, and earned a grand total of zero links in return. 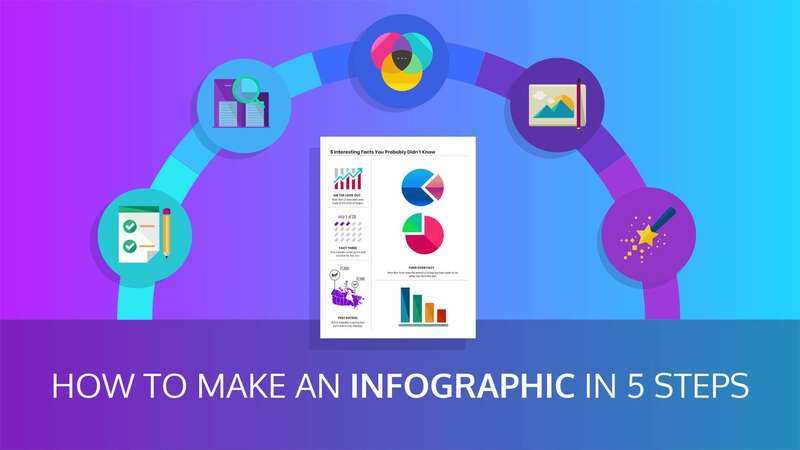 You might think this was because of your infographic design, but poor results from infographic marketing aren’t uncommon in the marketing world. The reason is simple enough: most bloggers and journalists suffer from “infographic fatigue”. They get pitched infographics varying in depth and quality everyday, so much so that some journalists even add spam filters for the term “infographic”. There is, however, a workaround that can help you earn hundreds of links and shares. It’s called keywordgraphics (shout out to Ross Hudgens for coining the term) and they will change the way you create visual content. Keywordgraphics might sound like a fancy term, but it’s essentially a simple concept: an infographic that focuses on a keyword (or a topic). Unlike a conventional infographic, a keywordgraphic has a narrow focus. It doesn’t just list a bunch of statistics; it answers a very specific question or explains a topic visually. For example, if you’ve ever purchased flowers, you might have been confused about the different varieties of orchids. This is a tough topic to explain textually–orchid variants have many differences that are difficult to explain without visuals. This infographic doesn’t list any data. It doesn’t have maps and graphs showing trends and figures. 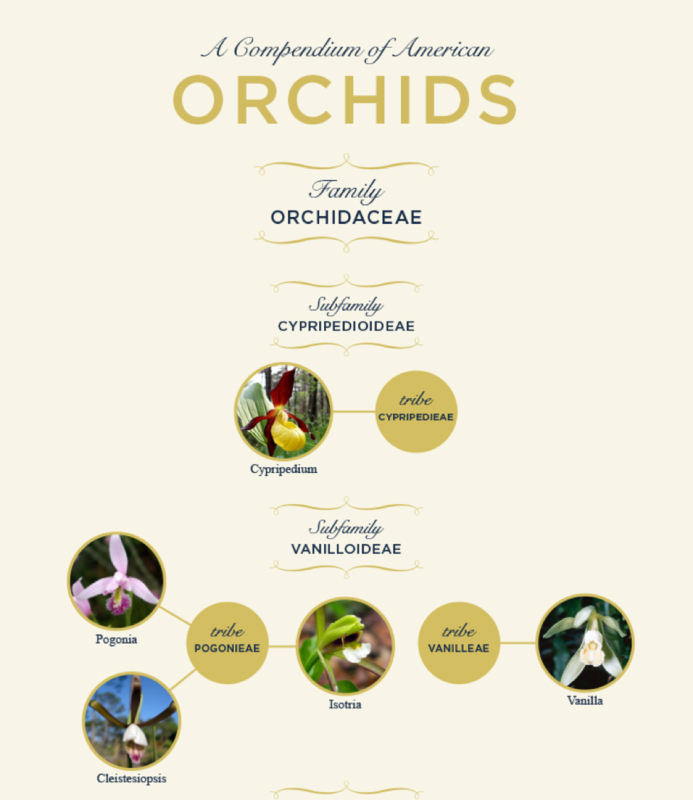 Instead, the infographic explains the topic–different varieties of orchids–visually. Even if you didn’t read a sentence of the accompanying article, you would walk away from this infographic learning at least something about different orchid varieties. 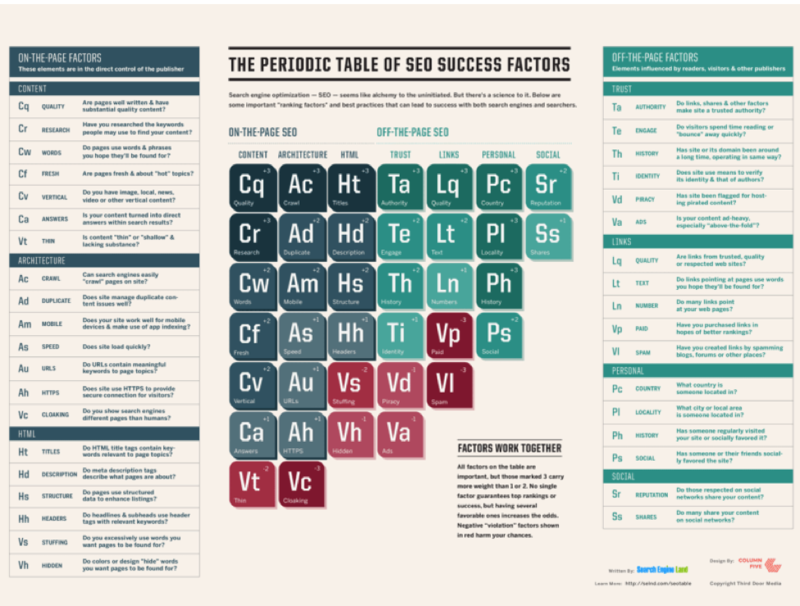 Here’s another example many SEOs would already be familiar with: SearchEngineLand’s Periodic Table of SEO Elements. Like the previous image, this one doesn’t have any data. Instead, it explains a topic–SEO ranking factors–visually. This is one of SELand’s most successful content pieces, earning over close to 8,000 backlinks from over 2,100 referring domains. Many keywordgraphics essentially visualize text-heavy topics, particularly those with high search volume. 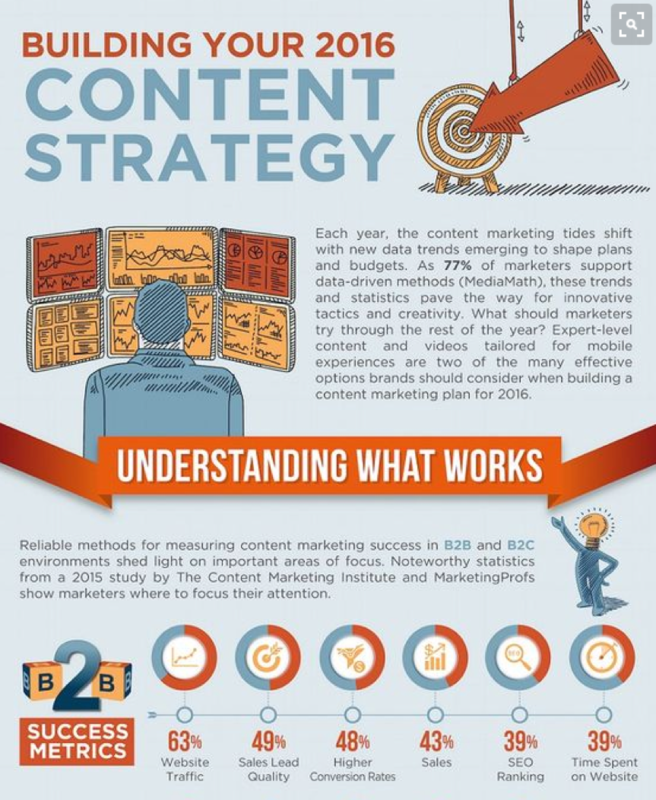 For example, this graphic helps readers plan a content strategy for 2016. It targets a high volume keyword–“content strategy”. Creating keywordgraphics isn’t very different from creating any other substantial content piece. I’ll show you a process for brainstorming ideas and creating your own in-depth keywordgraphic below. 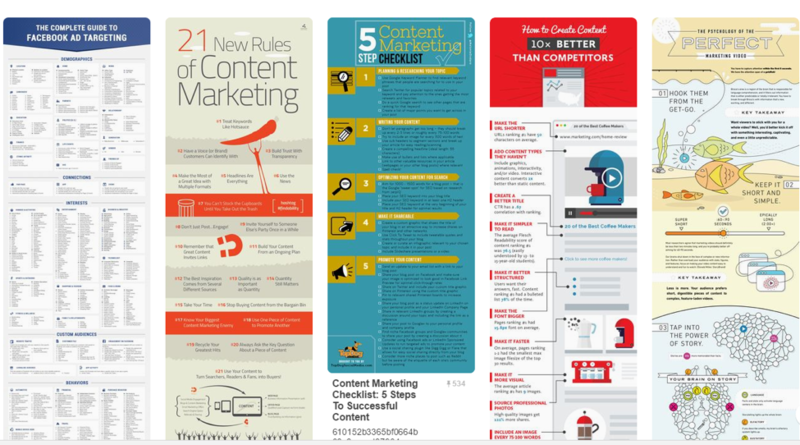 Every successful site has a few “content pillars”. 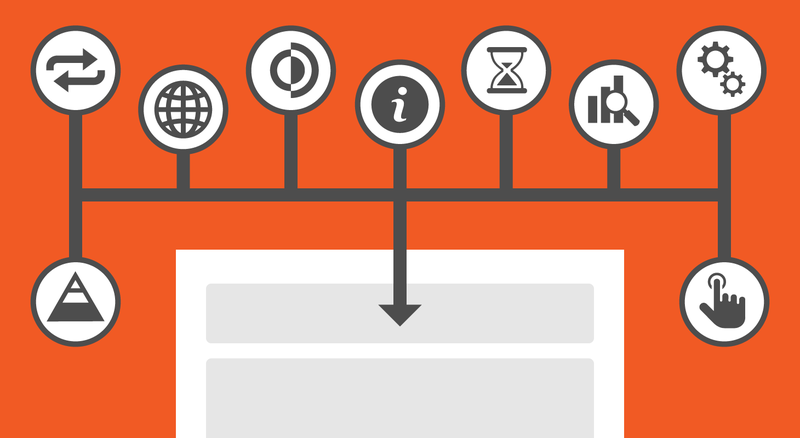 Content pillars are topics the site wants to be known for. 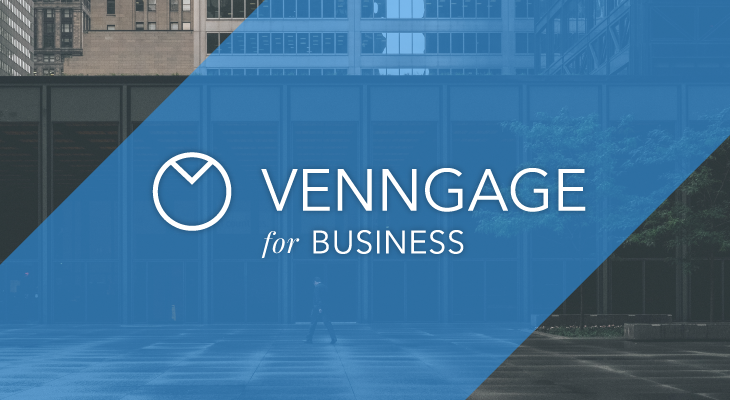 Venngage’s content pillars, for example, are visual design, visual storytelling, infographics (duh! ), social media, etc. The first step in the keywordgraphic creation process is to understand your own content pillars and spot opportunities. 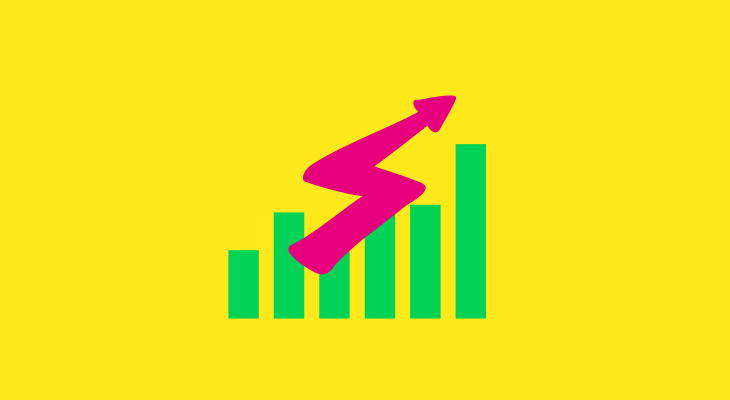 Look through your analytics to see what content has worked for you in the past in terms of traffic, links and shares. A quick way to do this is to pop your domain into Buzzsumo. Looking at Venngage’s blog, you can see that our data-based infographics content does really well (yay!). A more thorough analysis would tie content performance to business performance, that is, identifying what kind of content moves your business goals (leads, sign-ups, etc.). Depending on the topic, a keywordgraphic can require different skills to create. You will almost certainly need a designer and a writer. If the topic requires analyzing data, you will also need someone with data mining experience. Any interactive topic will require someone with development experience. 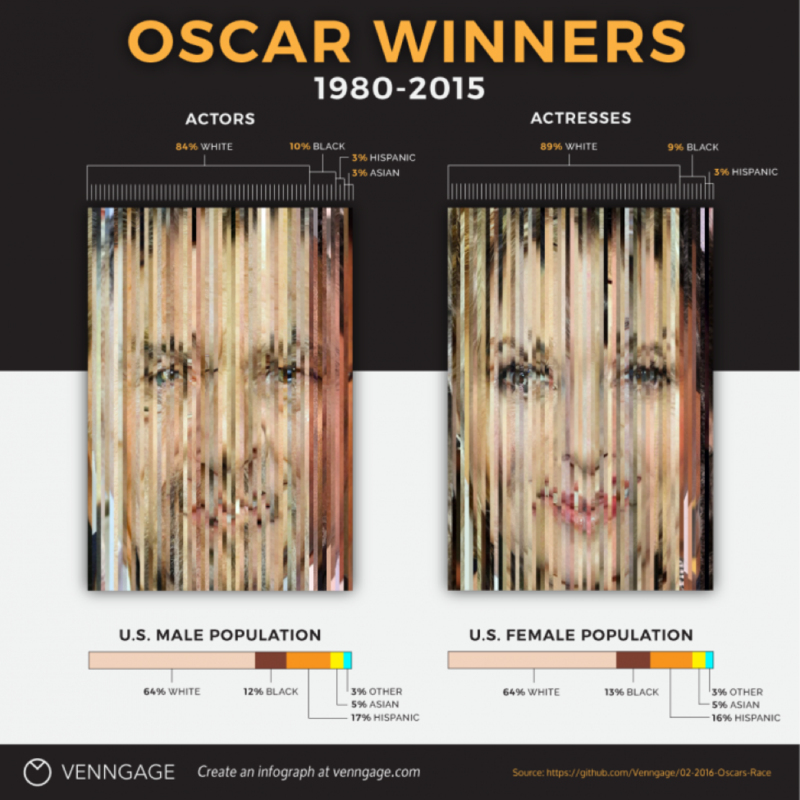 For example, this Venngage keywordgraphic on Oscar winners requires more than just graphic design skills; it requires data mining and analysis. If you don’t have the relevant in-house talent, you might struggle to create such content. Consider this before you start brainstorming ideas. It’s a good practice to brainstorm a lot of rough ideas at first, then fine-tune them until you get something that you can actually create. We’ll show you a few ways to brainstorm ideas below. Go back to the “content pillars” you identified above. Dig through each article and ask yourself: what is missing in this piece of content? Essentially, you’re looking for basic, keyword-focused ideas that would improve the existing content. Text-heavy ideas that can be turned into visuals work particularly well. For example, this article on content promotion shares a bunch of promotion tactics. 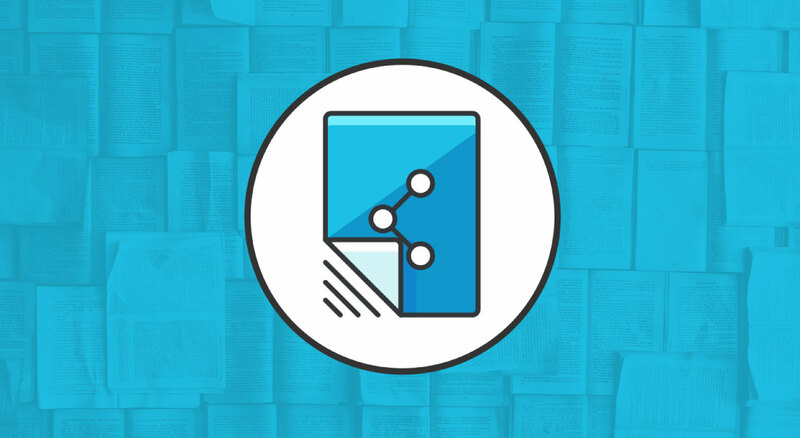 What you’ll see is a text-heavy content, which lists 11 different content promotion tactics along with extra readings for each tactic. A standalone visual graphic that collects all these resources into an easily shareable image would likely do very well. Here’s another example from Brian Dean: the anatomy of a perfectly SEO-optimized web page. As an SEO-focused blogger, Brian Dean frequently mentions on-page SEO in his articles, but didn’t have a definitive resource explaining it. 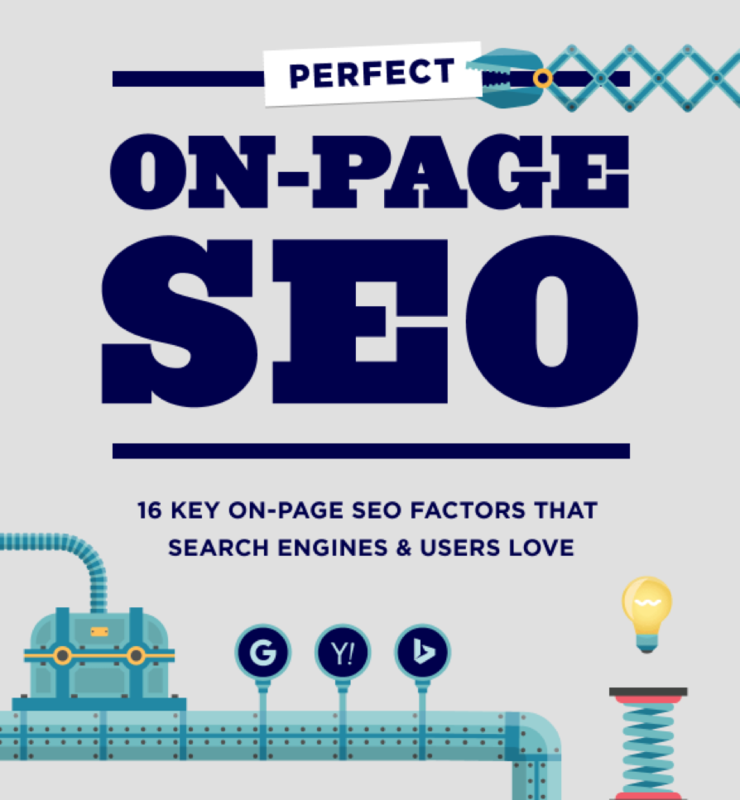 This visual graphic explains on-page SEO and works well as a reference source. It also fills the gaps in existing content. Instead of explaining on-page SEO in future articles, he can simply reference this infographic (more internal link juice). Every niche has some core topics or sources other bloggers and writers frequently link to in their content. In the marketing niche, for instance, marketing statistics pages attract a lot of links from bloggers using them as data sources. HubSpot’s marketing statistics page, for instance, has links from over 3,300 domains. To find such topics, place yourself in an average blogger’s shoes. Try to think of topics that bloggers would link to to strengthen their arguments, explain a concept or show that something works. More often than not, these oft-referenced pages revolve around core concepts, data sources or case studies. For instance, if you’re writing about conversion rate optimization, you might link to a collection of case studies to prove that CRO works. In this case, this page from KISSMetrics would be a great reference source (and it has links from over 500 domains). 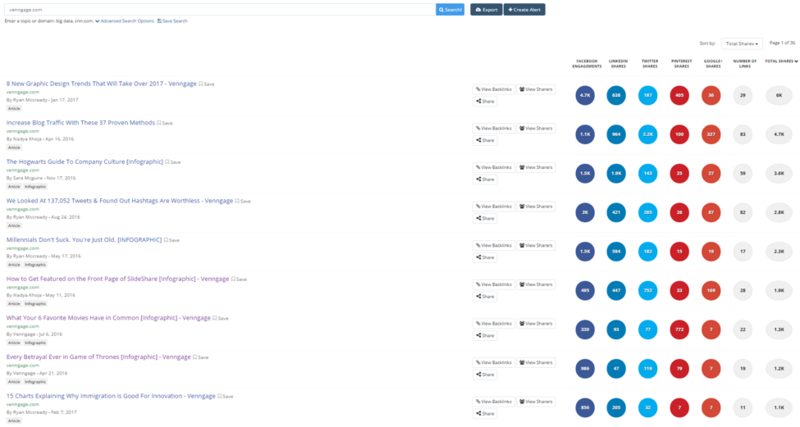 Another way to find these ideas is to use a tool like Ahrefs Content Explorer. This will show you the most linked-to/shared content in a niche. For example, searching for “music production” shows a Lifehacker “complete guide” to music production at the top of the list. This is an example of a “core concept”–music production. The most successful keywordgraphic ideas typically target high volume, top-of-the-funnel keywords. The reason is simple: more people write about high volume keywords. This means that they are more likely to reference your keywordgraphic to support their arguments. Thus, digging through keyword data is a great way to come up with keywordgraphics ideas. For example, “on page SEO” is a high-volume keyword with over 5,000 searches each month. This makes it a great candidate for a keywordgraphic. Use your favorite keyword research tool to find such high-volume keyword. Don’t fret about the competition–you aren’t trying to rank for the keyword. You’re trying to get links from others writing about that keyword. Understand that not every keyword will lend itself to a keywordgraphic. Unfocused keywords that require a lot of textual explanations such as “SEO tips” aren’t going to cut it. Try to spot keywords that can be reduced to simple visuals. “What is” keywords are a good example (“what is SEO”), as are “planning” and “checklist” focused keywords (“SEO plan”). A powerful, yet criminally underused brainstorming tactic is to find something that worked in the past, then present an alternative argument against it. For example, one of KISSMetrics’ top performing content talks about how emotional targeting improves lead acquisition. This article essentially presents an argument in favor of emotional targeting. More than 48 sites have referenced this article. What if you have research that doesn’t agree with the above claim? Perhaps your data shows that good design and copy trump emotional targeting when it comes to lead acquisition. If you could present this argument as a keywordgraphic, you could potentially win a lot of links and shares from people who’ve referenced the original article. The best way to come up with these “alternative argument” ideas is to examine your industry. Ask yourself: what are some widely held beliefs in this industry? In the SEO space, for instance, it is widely believed that links are crucial for rankings. But if you able to show that you can rank without a lot of backlinks through great on-page SEO, you’ll likely create some controversy (and get a lot of shares). In fact, just recently Gary Illyes (who works in Google) confirmed that you CAN rank for medium competitive keywords WITHOUT LINKS (Marketers, you know what to do now). Another way to come up with new ideas is to essentially think backward from a journalist or influencer’s point of view. Dig through your favorite websites to see what kind of content they like to share, then recreate something similar. For instance, a Fractl survey of 500 publishers found that 70% of publishers prefer to collaborate on a piece of content than getting a fully-finished asset. It also found that a majority of publishers like to share exclusive research, and prefer original articles and mixed-media pieces over quizzes and videos. The best way to use this “think backwards” approach is to go through your target site. Check the kind of content they frequently share–guest posts, thought pieces, controversial research, etc. See if some of that content can be turned into a keywordgraphic. This increases your chances of getting a placement on top-tier sites, but might clash with your content creation capabilities. Take that into account before you finalize a topic. By now, you should have a big list of tentative keywordgraphics ideas. The next step is to fine-tune these ideas and turn them into something more tangible. 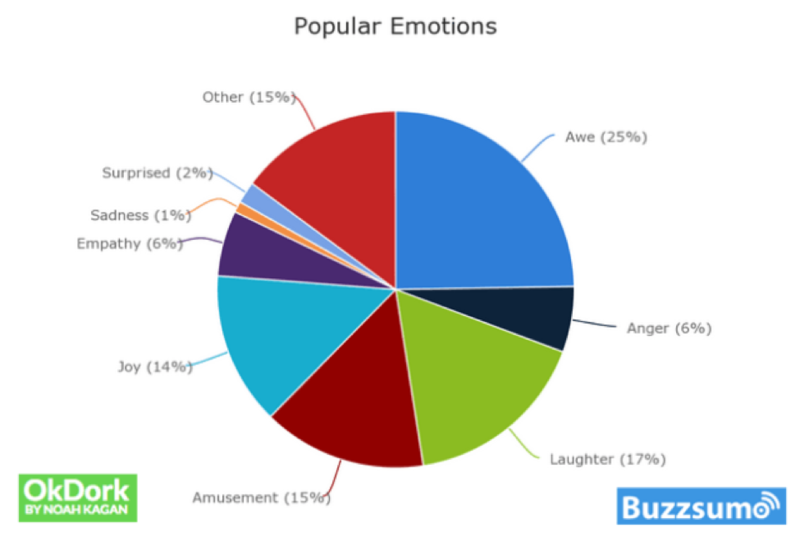 There is a very clear bias towards emotional content when it comes to social sharing. According to one study, positive emotions such as joy, awe and laughter are far more likely to drive social shares. The takeaway from this is simple: if you want your keywordgraphic to get widely shared, it should ideally have an emotional hook (preferably, a positive one). Use this to fine-tune your keywordgraphics ideas. Ask yourself: can I give this topic an emotional twist? For example, suppose you have a bunch of data on content marketing. 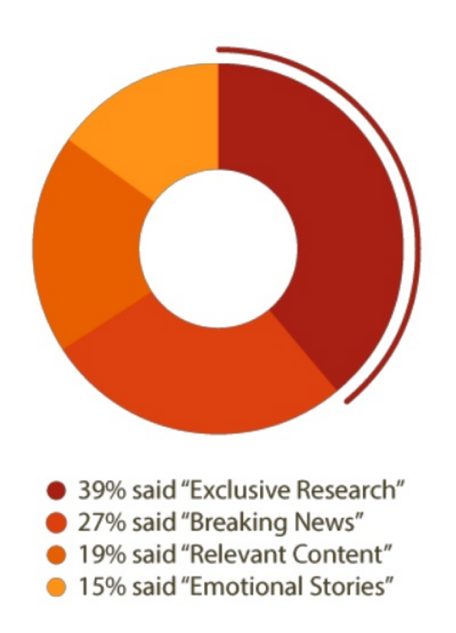 You could present this data would be in the form of an infographic showing trends in content marketing. But if you frame the data to show how content marketing is killing traditional advertising or helping small businesses beat larger competitors, you’d have an emotional hook and more people are likely to care. Of course, this doesn’t apply to every topic. You can’t pack an emotional punch into an infographic on on-page SEO no matter how hard you try. In such cases, follow the advice below. If you can’t make the topic emotional, strive to make it as useful as possible. The keywordgraphic should stand on its own without any supporting articles. 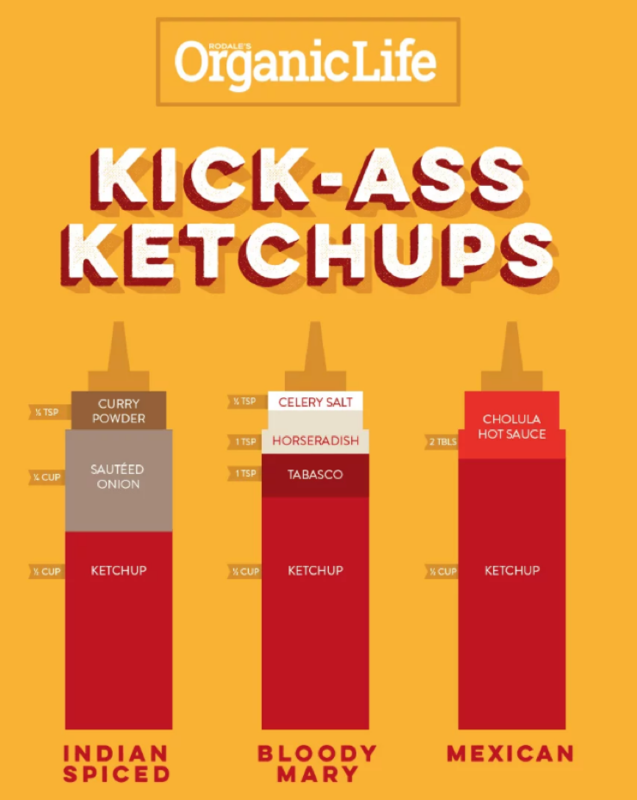 For example, consider this mini-infographic on different ketchup recipes from Organic Life. It has an accompanying article with more detailed recipes, but you don’t really need to read it. You can figure out the recipe from the infographic alone. This is a great example of a “useful” keywordgraphic. It doesn’t really have an emotional punch (unless you tend to get emotional about ketchup! ), but it explains an idea–ketchup recipes–in an easy to understand, easy to share manner. Pinterest is the perfect place to find such ideas since each pin is an independent entity (without a supporting article). Search for your target keyword on Pinterest to see successful content. Notice how the top content doesn’t just regurgitate some stats but actually explains a topic? This is the essence of “useful” content. Once you do the above, you should have a highly focused content idea with built-in viral potential. The only thing you need to do now is to create this keywordgraphic and promote it. Keywordgraphics turn boring infographics into highly useful content pieces with far reaching potential. Instead of collecting boring data, keywordgraphics focus on explaining an idea or presenting an argument. This makes it easy for bloggers and writers to reference the keywordgraphic, winning you links and shares in the process. Once you have a good idea down, fine-tune it further by making it useful or emotional before you start creating it. Edward Dennis, whose legal name happens to be just Dennis (thanks mom! ), is the digital marketing lead at Core dna. When he's not too busy coming up with content ideas and promoting content, you can find him browsing Instagram and Facebook for food inspiration #foodporn.